In this May 26, 2016 file photo, Actor Johnny Galecki attends The Red Nose Day Special on NBC at Alfred Hitchcock Theater at Universal Studios in Universal City, California. "The Big Bang Theory" star Johnny Galecki is thanking firefighters for trying in vain to save his vacation home from a California wildfire. Galecki posted a picture on Instagram on Thursday of himself hugging a firefighter while standing among the rubble of the home in the San Luis Obispo area. He thanked Cal Fire in the caption, adding: "It is the profound risks that you accept and the sacrifices you and your families make that keep us safe." 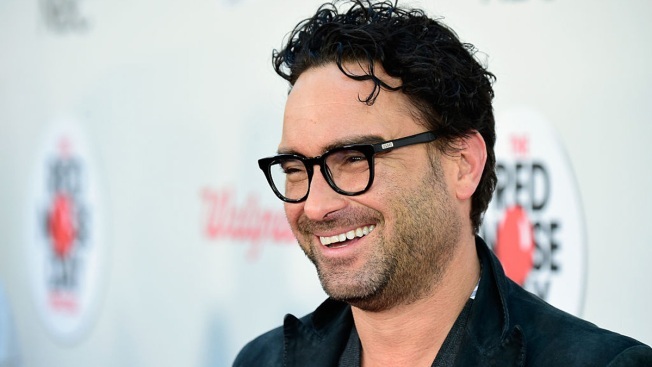 The 42-year-old Galecki plays Dr. Leonard Hofstadter on the CBS show, one of the most popular on TV. He also was a regular on the ABC sitcom "Roseanne."